﻿ Glenn's Sales, Service and Hardware Fredericktown Ohio. Welcome! Thank you for visiting our NEW Glenn’s Sales, Service & Hardware website. 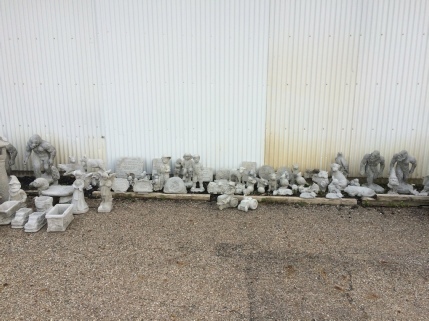 We have expanded our product line with our move to our new location 1 mile south of Fredericktown on State Route 13. Our new store has instock many products you need for home maintenance and repair chores as well as a full line of power equipment including high quality products like STIHL, Gravely, Milwaukee and many more, all at reasonable prices. Take a few minutes to view our store tour video on the right and you’ll see we carry the products you need without having to drive to Mount Vernon, Newark, or Mansfield to find them! We recognized a need for high quality hardware and fasteners in the area, so we have instock many thousands of nuts, bolts, screws, springs, everything you want within a few minutes of Fredericktown.  Need quality paint? 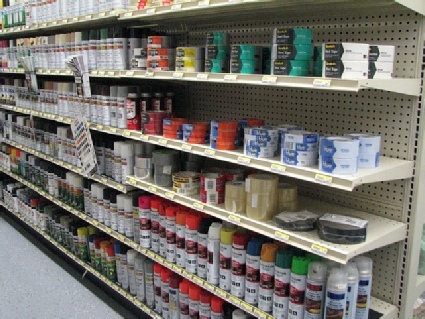 We carry GraySeal paint, Rustoleum and several other national brands. Drywall supplies, plumbing supplies, electrical supply, you’ll find it RIGHT HERE! Call us at 740-393-3828 or email glenns@glennssales.com for current availability and pricing! 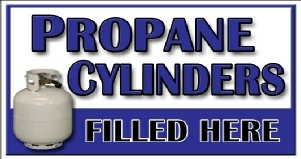 We now can fill your propane tanks! Stop by and get your tanks filled for your gas grill, propane heater or your RV at a great price! Glenn’s is an Authorized STIHL Dealer providing sales and service for the STIHL line of quality products! 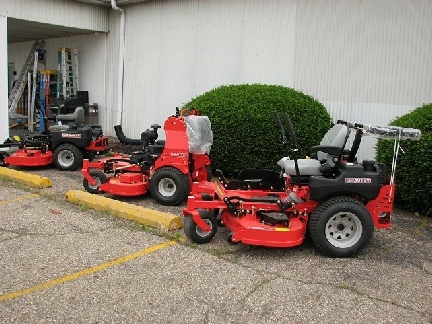 Glenn’s is an Authorized Gravely Dealer providing sales and service for the Gravely line of quality outdoor power equipment! 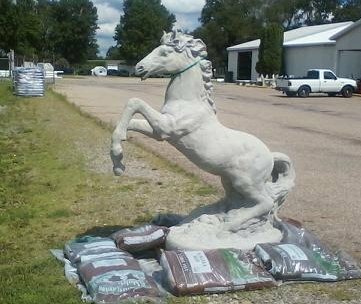 If you are a horse person, this statue is over 6 ft tall and would look great in front of your horse barn! 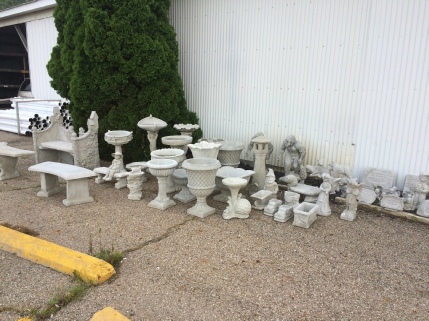 Stop by and see the great selection of concrete statues we currently have in stock. New Special Offer posted 4/10/2018!